This year Art on the Beach is being held in June. Along with arts and crafts on display there will be food vendors and entertainment. Come out to a celebration of the visual arts. Enjoy a day at the beach. Drive in, boat in, walk in or swim. Admission and parking are free. 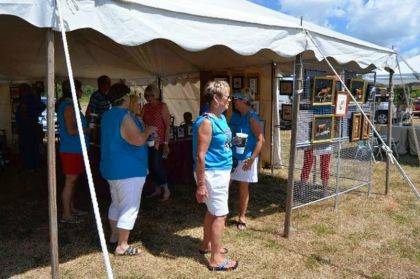 LAKEVIEW – The Logan County Art League will present the 11th annual juried art festival Art on the Beach ’18 on June 23 from 10 a.m. to 5 p.m. and on June 24 from 11 a.m. to 4 p.m. at Indian Lake State Park at Old Field Beach, Lakeview. Many artists and craftsmen from near and far will be exhibiting their wares for your enjoyment and for purchase. 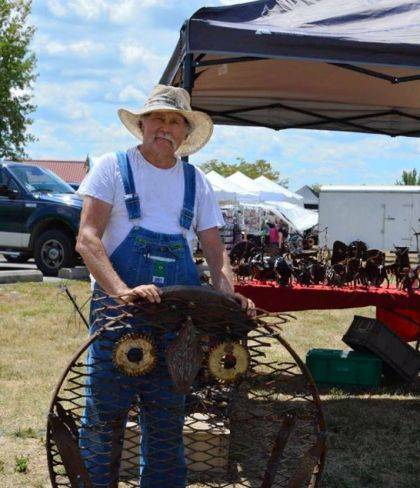 Paintings, drawings, print making, photography, jewelry, garden art, gourd art, metal art, pottery and glass work will be among the various media on display. Many artists will be demonstrating their techniques and displaying their most recent works. Artists interested in being involved can visit logancountyartleague.org for a registration form.